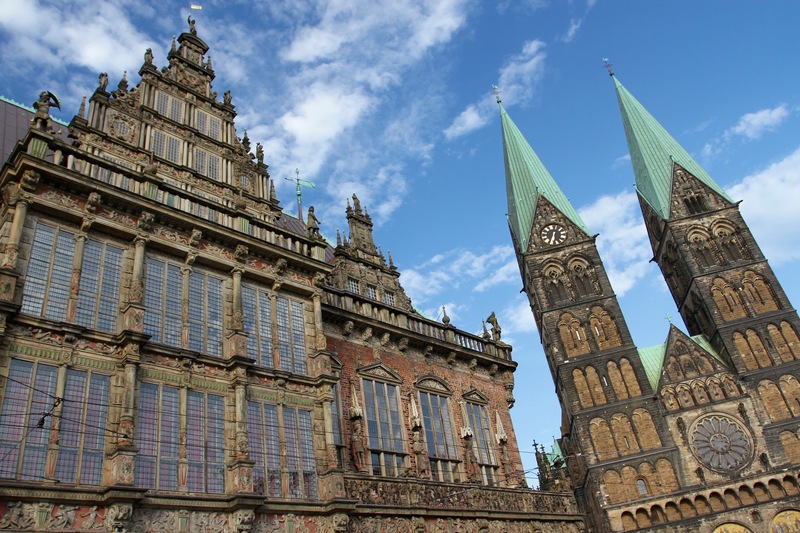 I’d only planned to spend a day and a night in Bremen, but I enjoyed my time there so much that I decided to stay a second day and explore some more of the town. I’d done some research overnight and decided that I shouldn’t miss wandering the narrow lanes of the ancient Schnoor district of town. 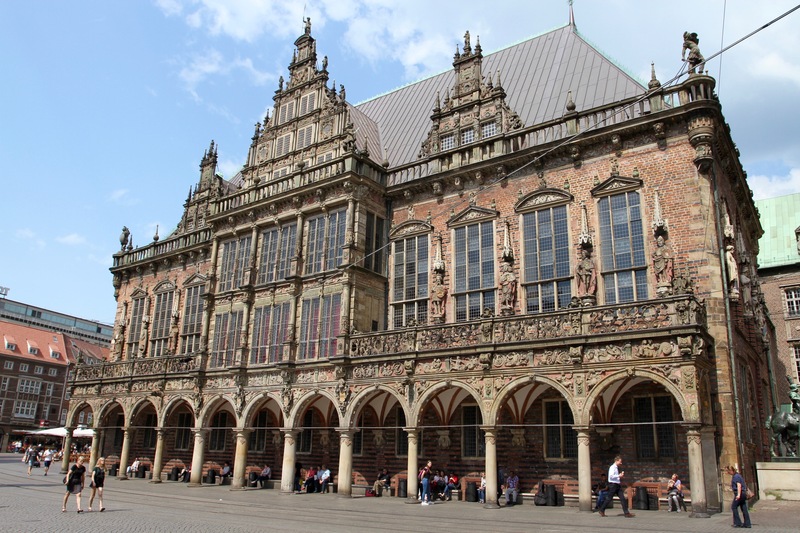 This was the centre of economic life in Bremen when it was a member of the Hanseatic League. 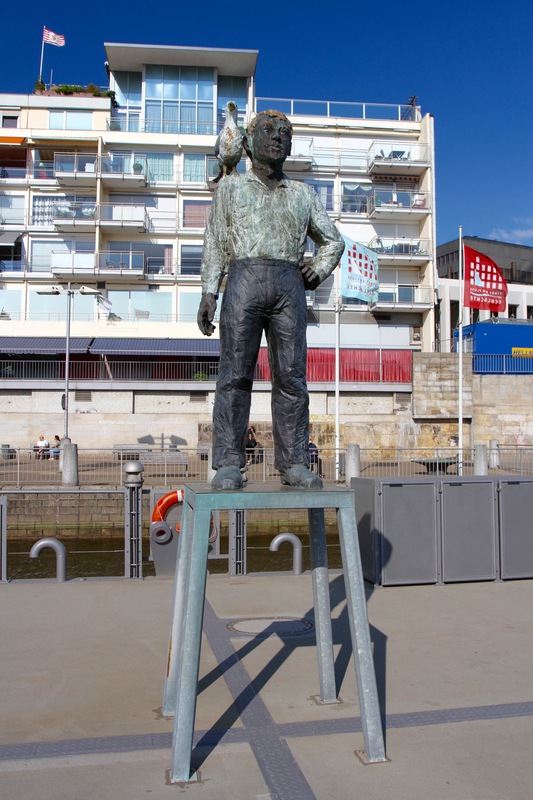 Here, on the banks of the River Weser, fishermen, merchants and craftsmen made their homes and plied their trade. The area dates to at least the 12th century, and reminders of its long history are found scattered throughout the compact, almost claustrophobic, streets. The area gets its name from the Low German word “Snoor”, meaning string, because the small houses are packed together like pearls on a string. Today, this feels like the most touristy part of town, and the pretty half-timbered buildings have long bade farewell to their former residents in favour of restaurants, cafes, boutiques and souvenir shops. Mostly the area is pedestrianised – it would be hard to imagine a car getting down most streets – and perfect for strolling. 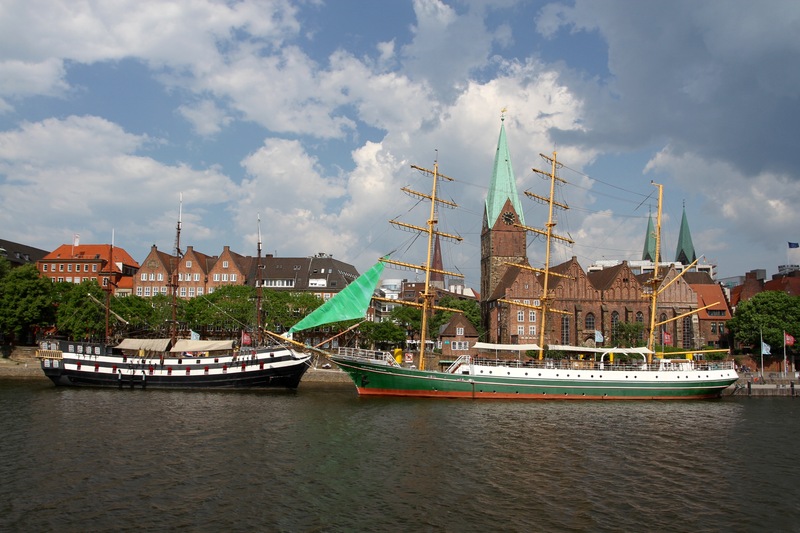 If you want to know more about the Hanseatic period the Bremer Geschichtenhaus museum does reenactments in period costume. 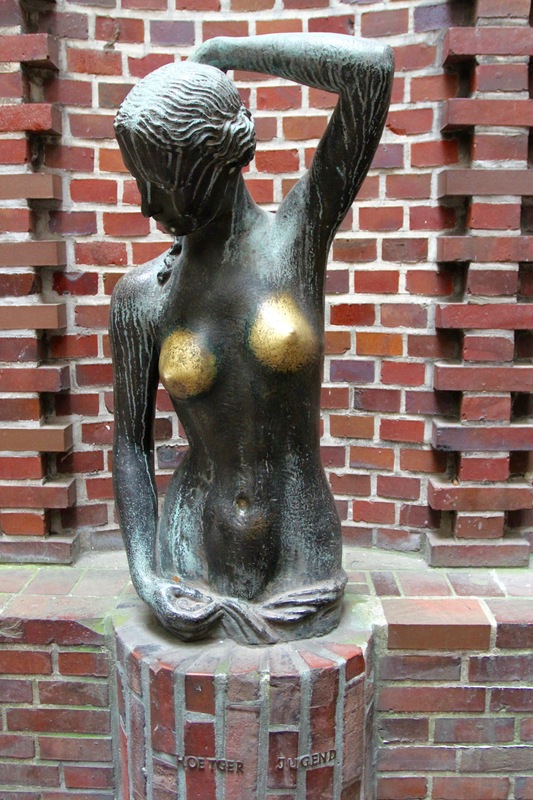 I spent a couple of hours wandering around before visiting the nearby Kunsthalle, Bremen’s fantastic art gallery with a glorious collection that spans over 700-years of art history, from the Middle Ages to the present. I wasn’t expecting the Kunsthalle to be so big, or have such a brilliant selection of art, but this one of the finest galleries in Germany. I was there for hours, a little transfixed by how great it all was. It was definitely time for lunch, but next door to the Kunsthalle is the smaller, more Avant Garde, Gerhard-Marcks-Haus. 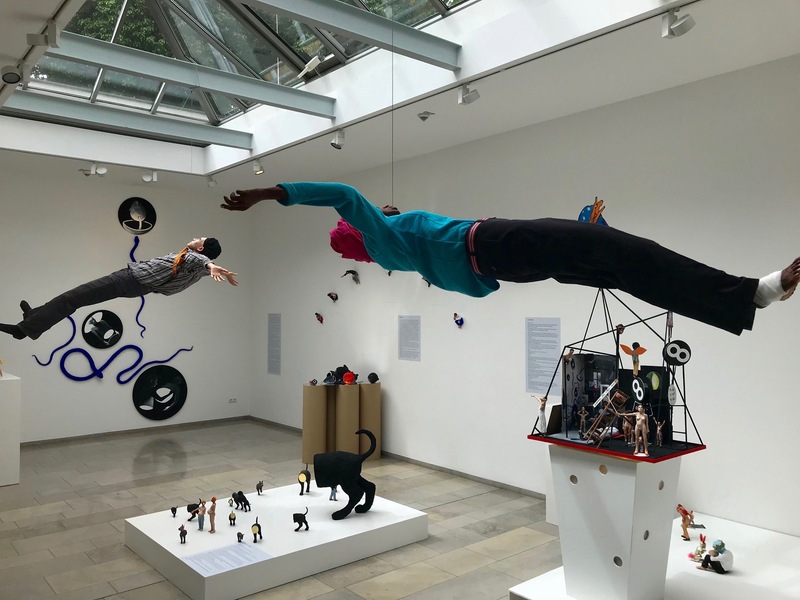 A modern art space that had me scratching my head trying to interpret what I was seeing. If it wasn’t immediately understandable, Volker März’s Horizontalist was at least visually arresting. That seemed like enough culture of one day so I went in search of lunch in the Steintor neighbourhood. 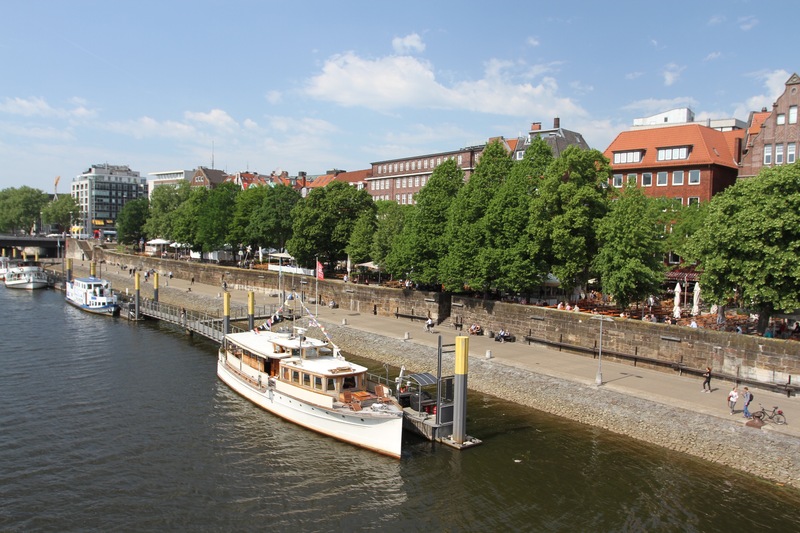 I reemerged on the banks of the Weser where a riverside park led me back into town. It’s a lovely walk, with occasional barges passing along the river. Back in the centre there are several ships moored on the waterfront and a bridge leading over to the thin end of the Teerhof peninsular that runs for a couple of kilometres and creates an inland ‘sea’. This was an old warehouse district that was badly bombed in the war and is now mainly apartments and offices. 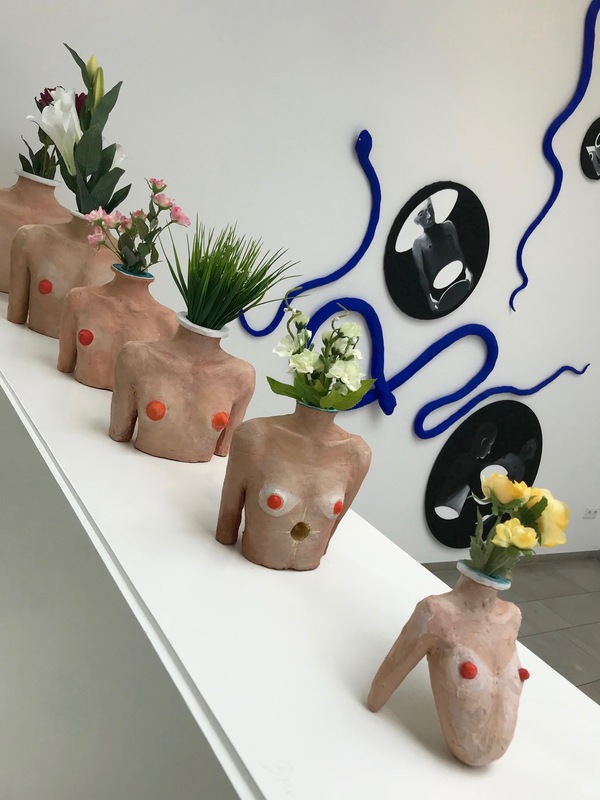 There’s another supposedly excellent modern art gallery in a former cigarette factory, but one modern art gallery a day is my limit. 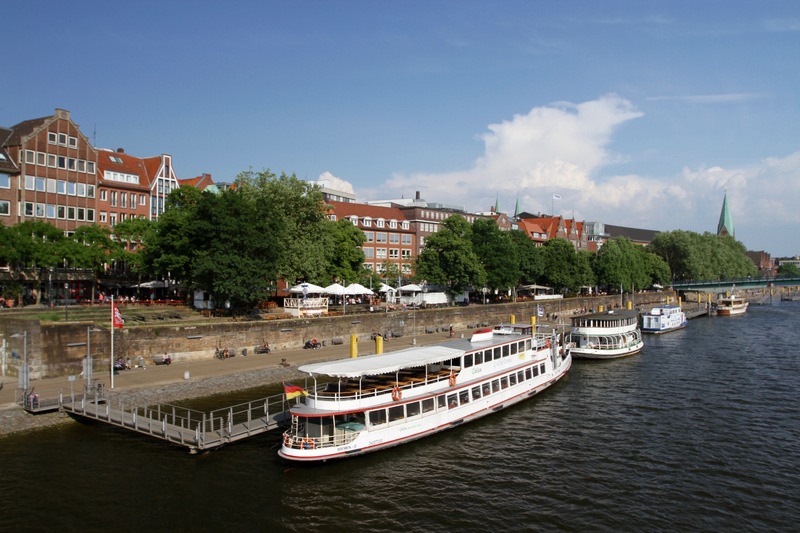 At the end of the peninsular I crossed back over to the Schlachte Embankment, which is home to several good bars, restaurants and beer gardens. The weather was warm, so I decided to sit by the river and watch the world go by with a beer in hand. 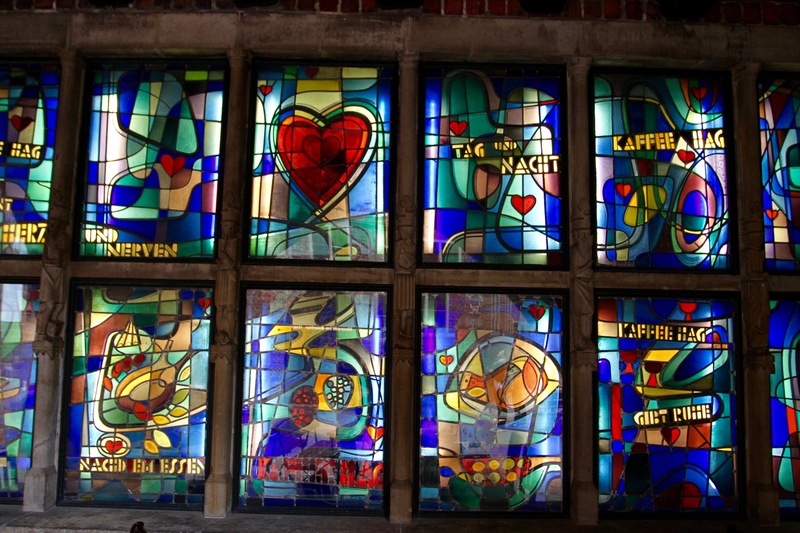 I was reading my guidebook and realised that Bremen is not only home to the globally renowned Beck’s beer brand, but the brewery does one tour a day in English. I could see the brewery from the beer garden and decided it was worth visit. In case the guidebook was wrong I checked their website, and indeed there was a tour in English but, and it was a big ‘but’, they don’t allow you to take the tour if you’re wearing flip flops. This odd rule disqualified me, luckily there were plenty of Bremen beers on offer along the Schlachte … and I didn’t even have to move. Bremen came as a complete surprise. 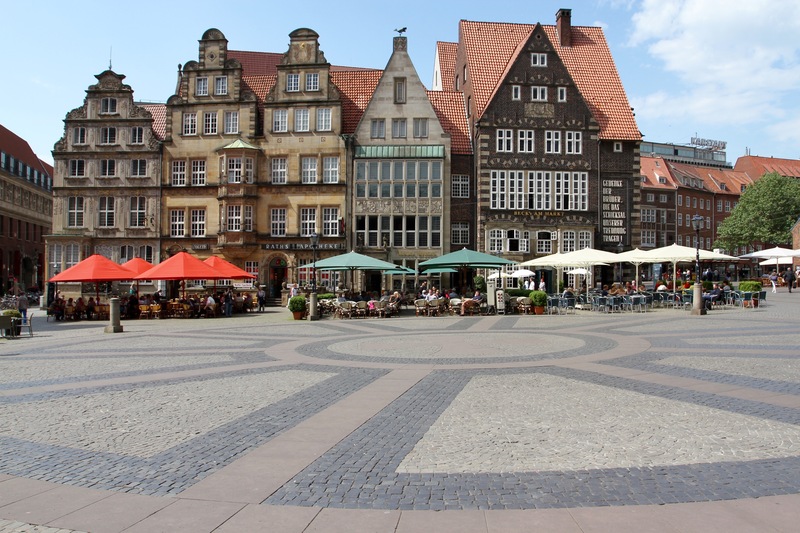 A cultured, relaxed and cosmopolitan place, it’s one of Germany’s largest cities but feels like a small town. Although it’s packed with historic sights, great museums, a lovely riverside and plenty of parkland, it seems to fly well under the tourism radar. Combine that with some great restaurants and fun bars, and this is a place that really rewards a few days of exploration. I arrived early in the morning after a ninety minute drive from Hamburg and set off towards the Altstadt, the picturesque old town. 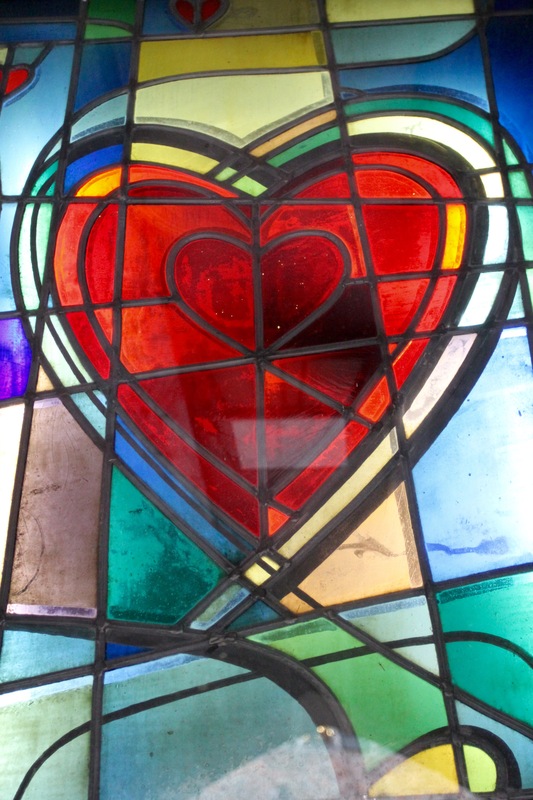 I emerged out of a nondescript shopping precinct into a square next to the medieval Unser Lieben Frauen, the city’s oldest church. 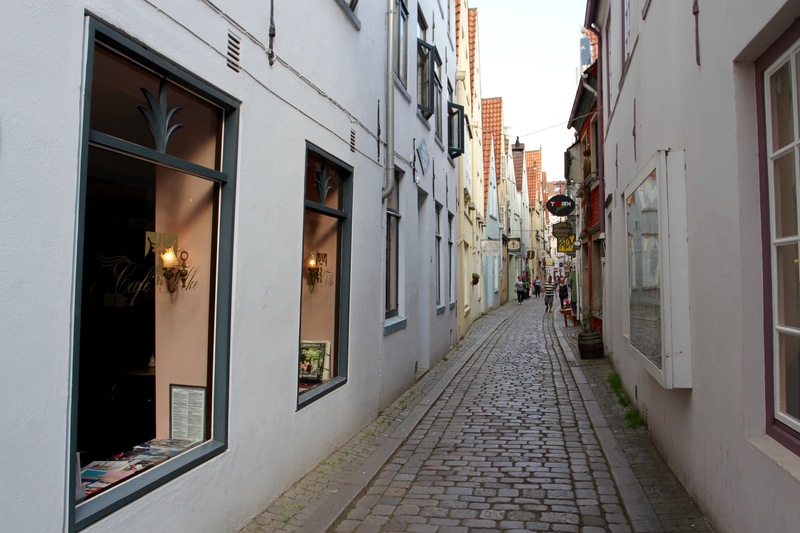 A few steps further brought me face-to-face with Bremen’s historic Altstadt. It’s absolutely beautiful. The sun was shining and the cafes beneath the gabled roofs of medieval merchants houses buzzed with life. In the other direction stands the modern city parliament, while on either side are the old Town Hall and the 16th century Haus Schütting. It’s a feast for the eyes. 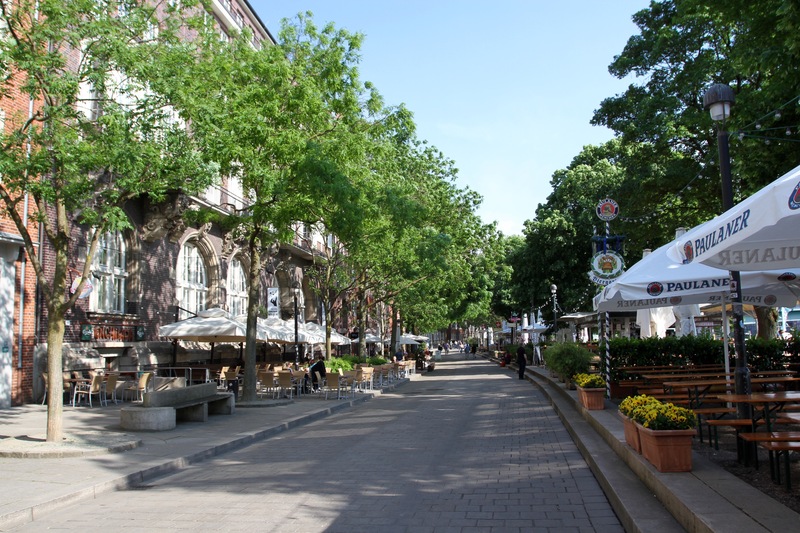 This is all the more surprising because of the severe damage Bremen endured during World War Two. This was one of Germany’s major ports, and its shipyards would have been a target long before U-boat construction began in the suburb of Rekum. 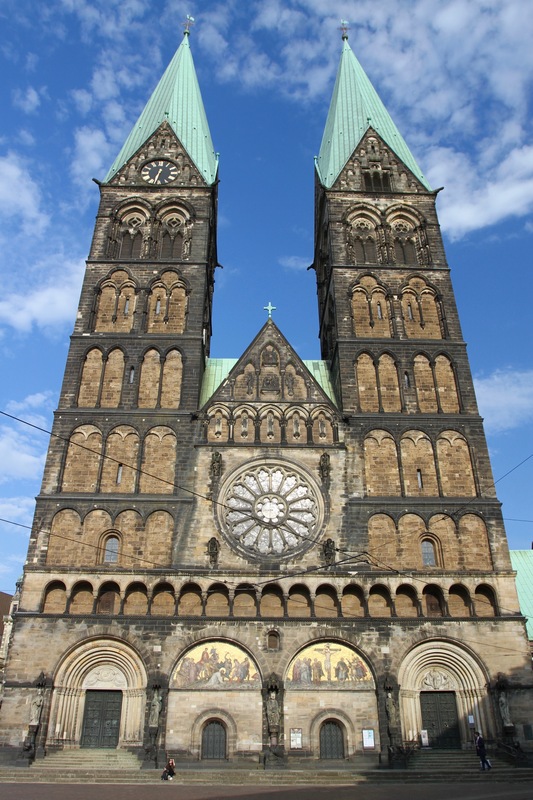 Bremen was also home to factories producing Focke-Wulf planes for Germany’s war effort, and the Borgward car company manufacturing trucks and unmanned tanks for the army. As a consequence, over 60% of the city was flattened by aerial bombing. Despite this, many centuries-old glories survived, including the GothicTown Hall and the statue of Roland, both date from the 15th century and are now an UNESCO World Heritage Site. 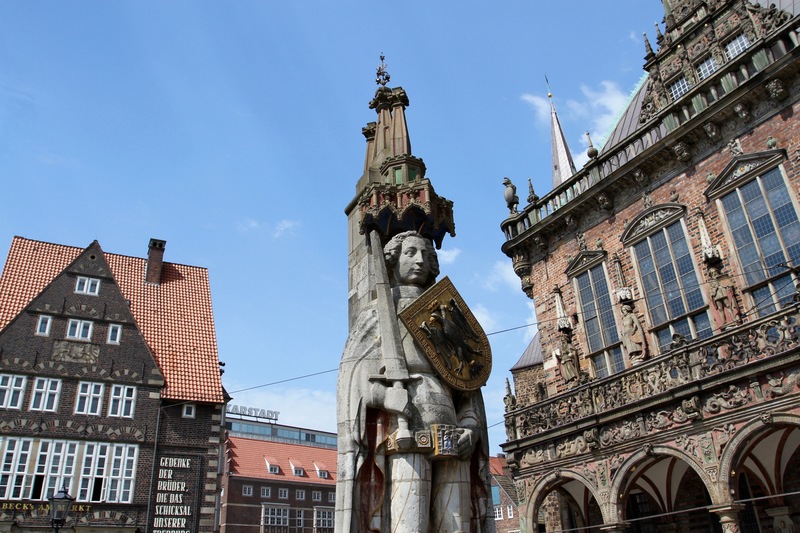 The statue of Roland, one of Emperor Charlemagne’s loyal supporters, stands in front of the Town Hall and is a short distance from the majestic Cathedral of Saint Peter, which has a crypt holding several mummified corpses. The Song of Roland is an early medieval poem recounting Roland’s untimely but heroic death while fighting the Moors in Spain. A more easily missed site is an innocuous looking a drain cover. As I watched, a couple of women approached and put a coin into the drain cover. Thinking this was either a weird local custom, or these were two crazy people. 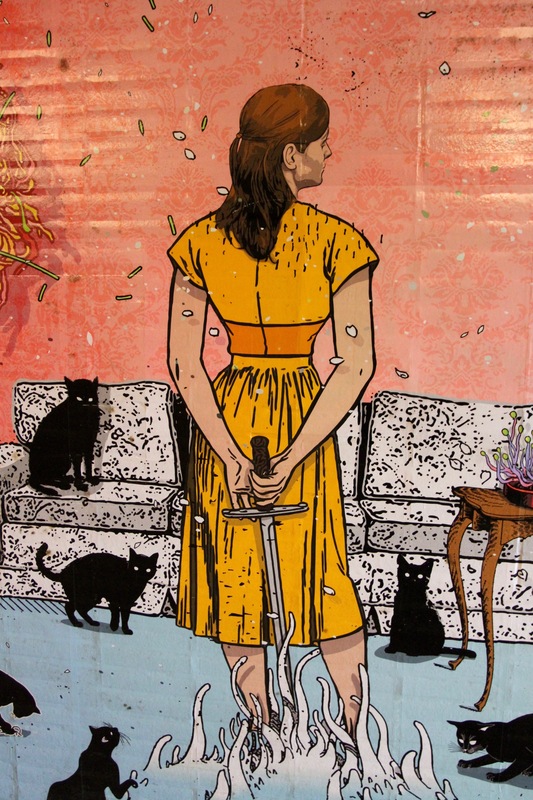 I took a step backwards. Just then the recording of a barking dog came from inside the drain. This is the Bremer Loch (The Hole of Bremen). 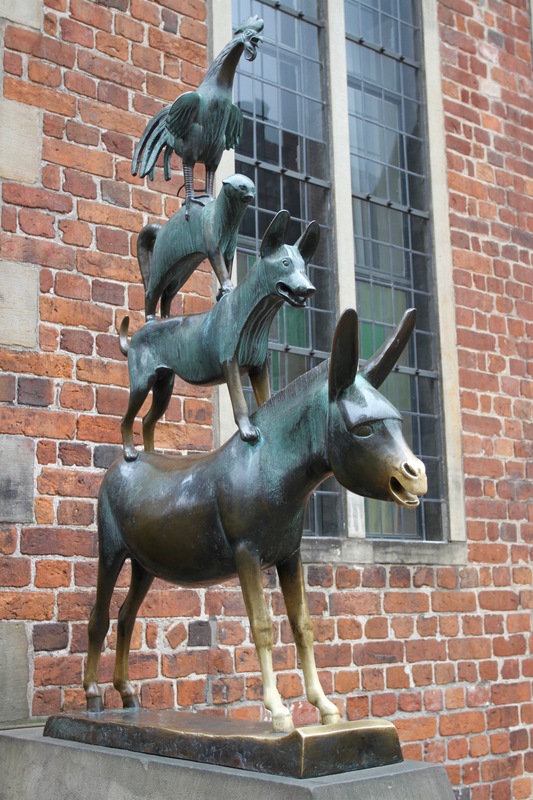 When fed money it plays the ‘song’ of the Bremen Town Musicians – a cockerel, a cat, a dog and a donkey. This begs many questions. The answer to why an odd grouping of animals are known as the Bremen Town Musicians lies with the tales of the Brothers Grimm. In one tale, the aforementioned cockerel, cat, dog and donkey decide to live as musicians in Bremen. On their way there they discover a house of thieves, who the plucky foursome scare off before taking possession of the house. 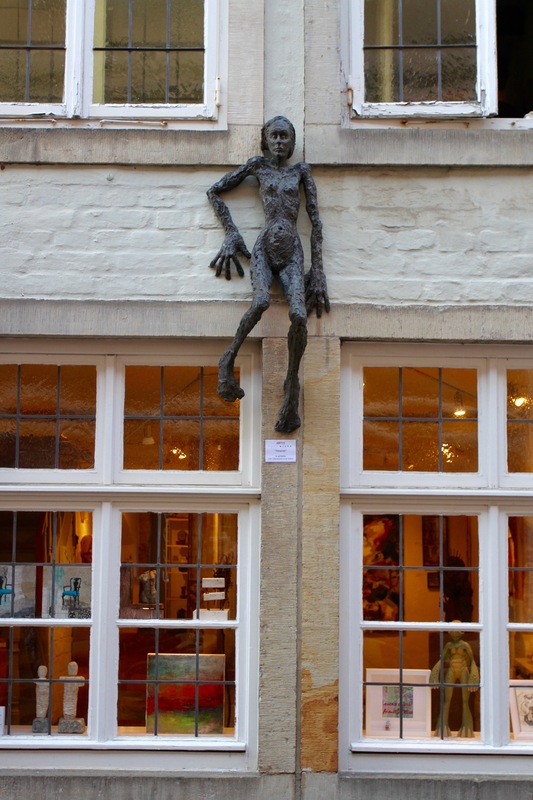 They never actually make it to Bremen, which is a shame given how much the town makes of them – there are statues (some stranger than others) all over the place. 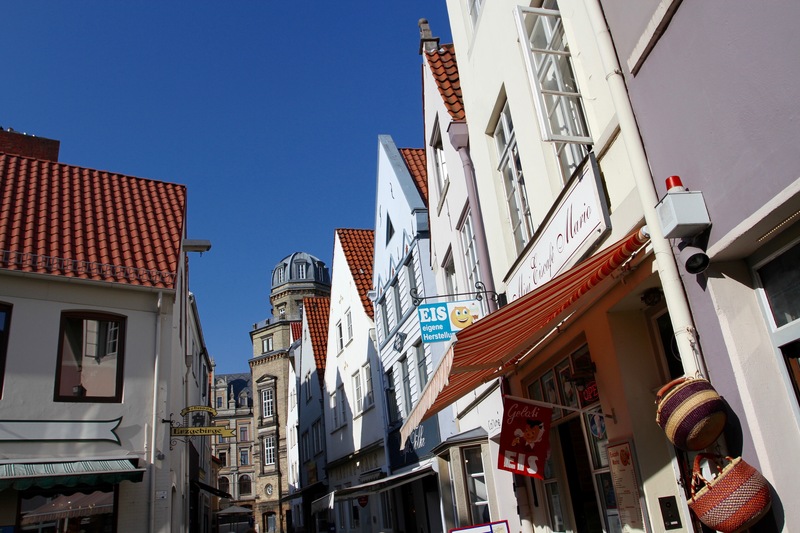 Connecting the Altstadt to the Weser River is the Böttcherstrasse, a fascinating street of expressionist architecture that was the brainchild of entrepreneur, art collector and inventor of decaffeinated coffee, Ludwig Roselius. 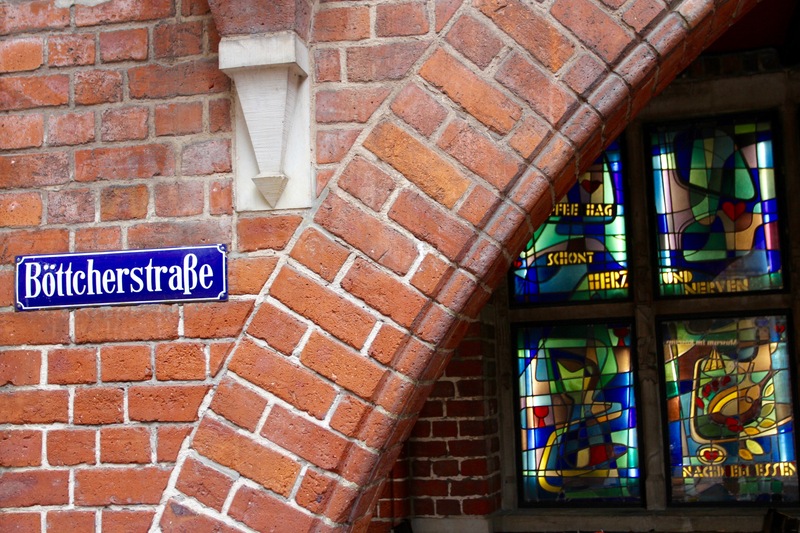 The street itself is an artwork, but it is also home to several excellent museums, including the Ludwig Roselius Museum and the Paula Modersohn-Becker Museum, the latter the first museum in the world to be dedicated to the work of a female painter. Both are well worth a visit. The street was bombed in the war but was painstakingly restored to its pre-war glory. 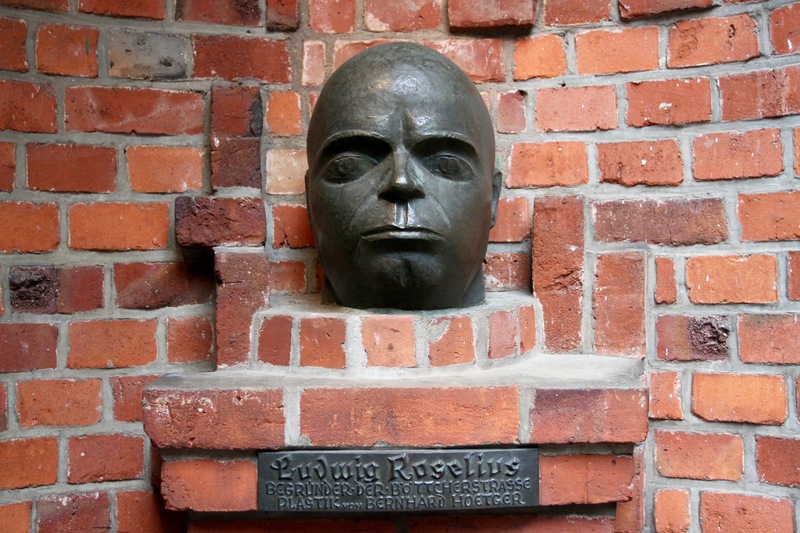 It doesn’t come without controversy though, Roselius was a supporter of the Nazis. 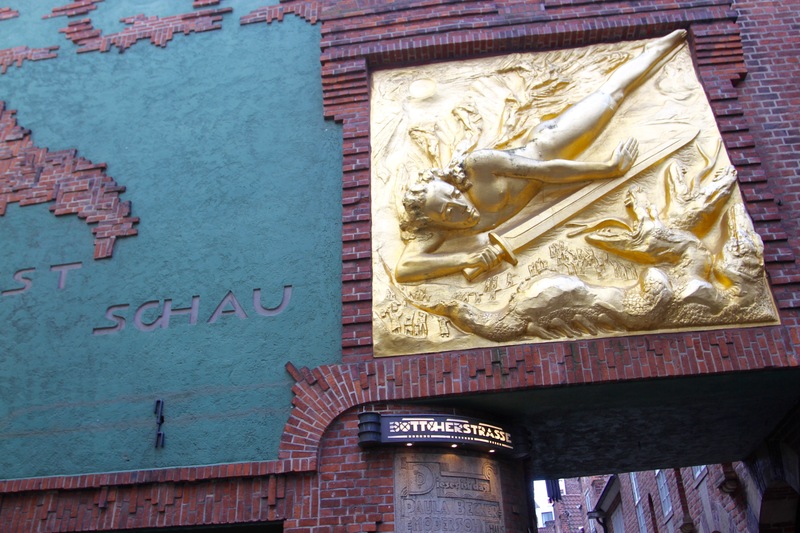 At the entrance to Böttcherstrasse is a golden relief known as Lichtbringer, or Bringer of Light, intended to glorify Hitler’s rise to power. Ironically, in 1936 Hitler denounced Roselius’ art collection and the Böttcherstrasse as ‘degenerate’ and his application to become a Nazi Party member was rejected, something that put his safety at risk. 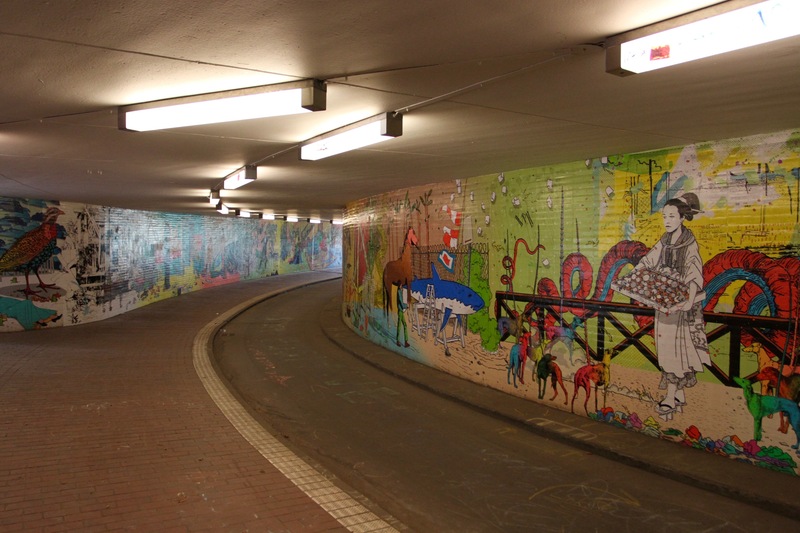 If you can separate the politics from the art though, the Böttcherstrasse is magical.